From left, Blaine Diehl, West Central District Vice President, Graham Burnley, Nevada Chief of Police, Stephon Krohn, Exalted Ruler Nevada Elks Lodge, Brian Crawford, State President of the Missouri Elks Association, Josh Westerhold, Recipient of the Nevada Elks Lodge Police Officer of the Year, Betsy Crawford, Sgt. Steve Bastow, Mike Heimann, Executive Assistant to the State President of the Missouri Elks Association, Cindy Heimann, and Kathy Baron, West Central District Chancellor. 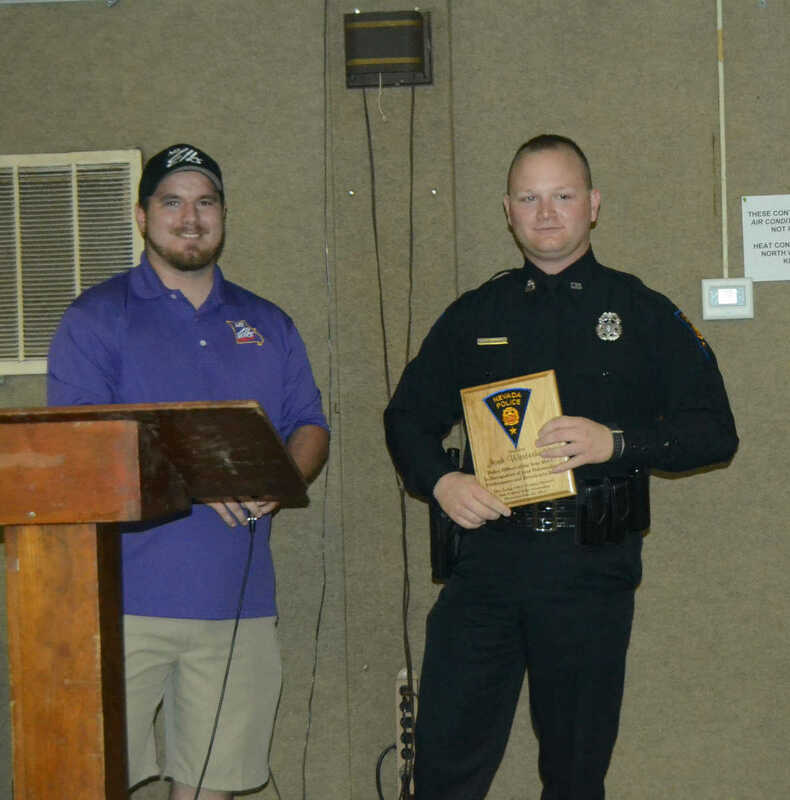 Joshua Westerhold is awarded Police Officer of the Year by Elks Exalted Ruler Stephon Krohn. 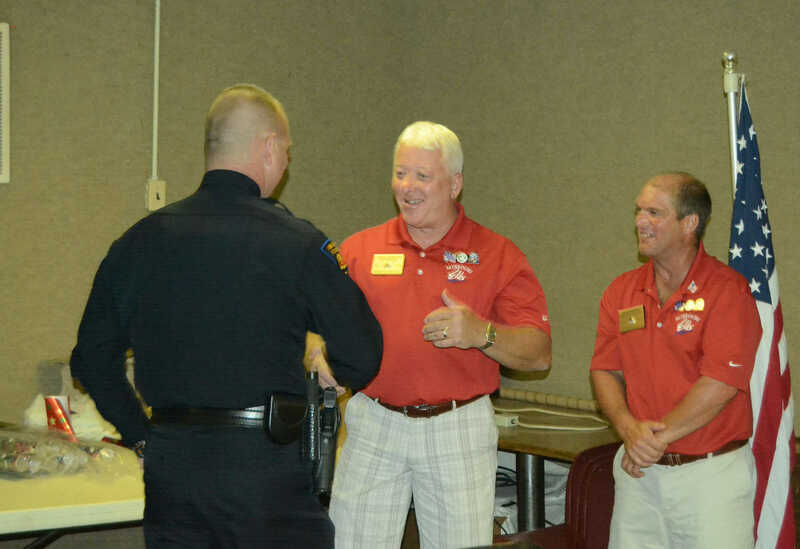 Police Officer of the Year Joshua Westerhold shakes Missouri Elks Association president Brian Crawford. 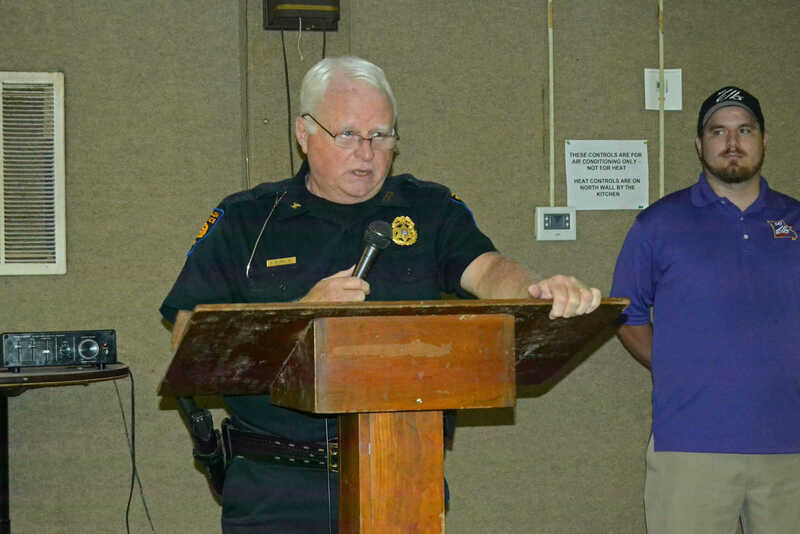 Police Chief W. Graham Burnley introduces the Elks Police Officer of the Year. 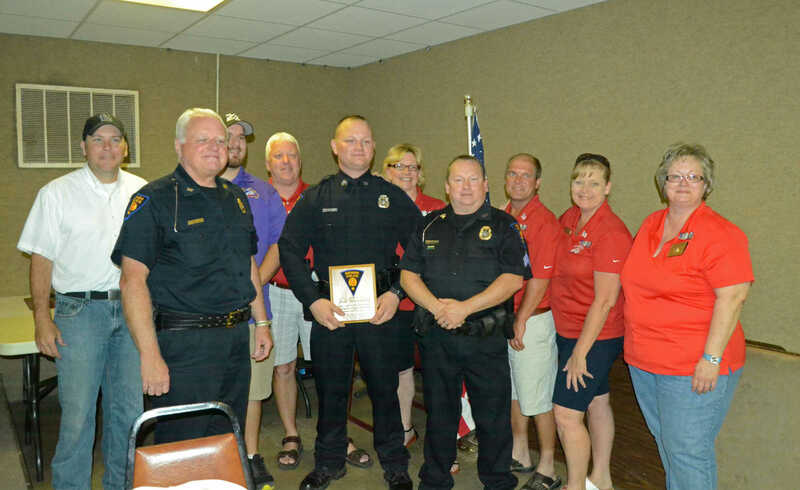 Burnley said Joshua Westerhold is a tremendous asset to the department and thanked him for his service. Elks Exalted Ruler Stephon Krohn stands on right. 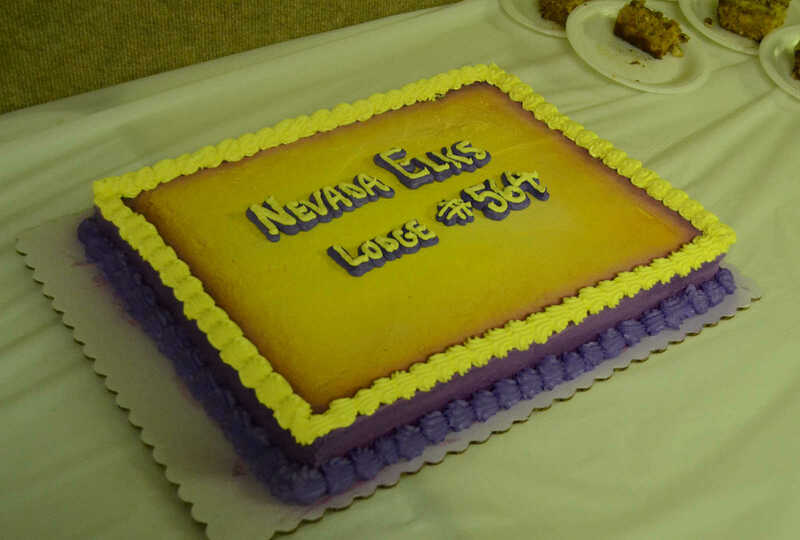 The Elks celebrate Police Officer of the Year with cake and a steak cookout.